The Lewis collection by Jennifer Taylor Home is the perfect addition to any living space looking to add a bit of a modern flair. The fabric selected for the collection features a polyester blend and engineered for long life. Our wood frames are made from kiln dried birch wood which provides exceptional support and stability. This bench is accented with hand tufts on both the seat and the removable bolster pillows. The Lewis is an ideal choice for the entryway, hallway or living areas. This bench brings class and lounging comfort to any room in the home, whether it’s used as additional seating for guests or extra space to spruce up your home decor. We offer a unique versatility in design and make use of a variety of trend inspired color palettes and textures. Our products bring new life to the classic American home. Have a seat in our Lewis Bolstered Lounge Entryway Bench. This gorgeous bench will spruce up your home and is the perfect versatile choice for seating and style. Use this bench in any part of your home for a functional and stylish accent. This bench is accented with hand tufts on both the seat and the removable bolster pillows. It is the perfect accent for any ensemble. Comes in a variety of fourteen colors to choose from. This light ivory color bench is absolutely breathtaking! I bought a chair that matched perfectly with it. 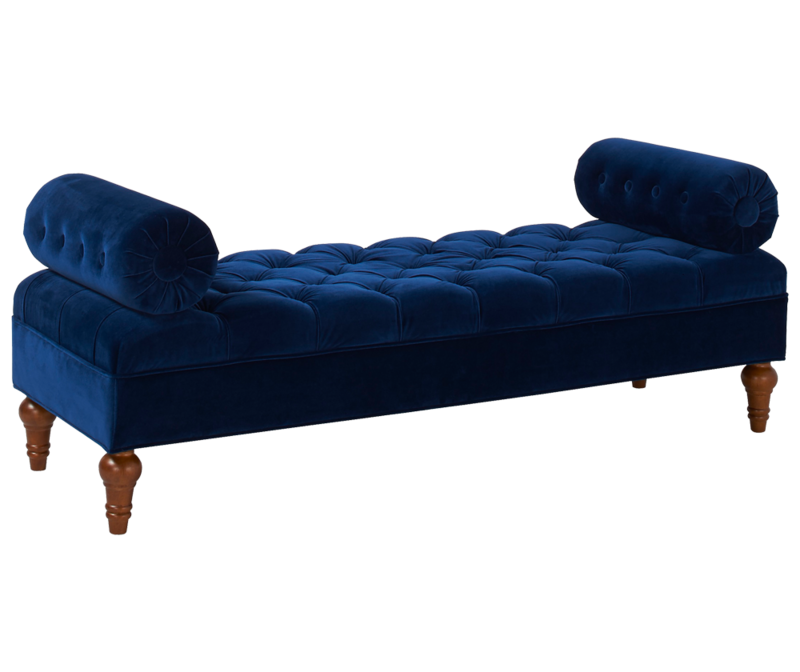 I put it in my huge master bedroom and when I say it looks absolutely breathtaking this bench is definitely worth investing into! It is a must buy product; but you must buy the chair that goes with it. If you have a huge master bedroom it will look wonderful at the end of the bed it is long durable, soft, and sturdy. This light ivory bench is an awesome piece to have in a high-end master bedroom or in any room you choose to put it in! This breathtaking bench you must buy! I promise you, you will not regret it! 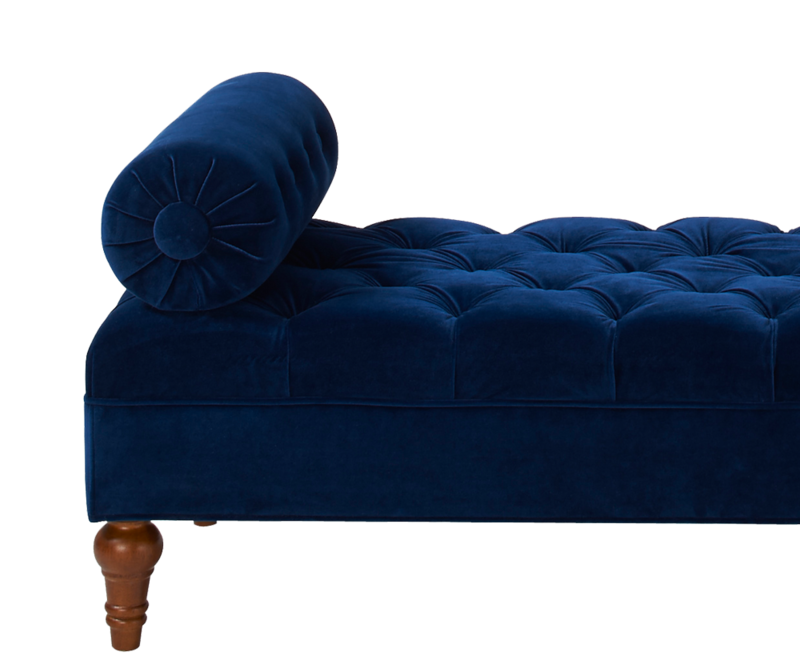 I bought this bench to go with the Jennifer Taylor Charcoal velvet headboard I purchased a few months ago. It looks absolutely gorgeous at the end of my king size bed. I put it together my self in 10 minutes. This brand of furniture is high end and a great buy. I love it. This piece looks just like the picture. Very soft and expensive looking wo the expensive price tag. It was easy to put together and arrived not long after I ordered it. The only reason I didn't give it a 5 was because it's a tad bit shorter than it seems in the picture. We are in love with his ottoman bench. We wish we could order more to put all over our house, it's that great. Quality is A+ and color is so beautiful. We got the midnight blue, and it's just perfect for our living room. It adds a nice pop of color to our neutral color theme. One thing to keep in mind is that it is pretty low, so it isn't the best bench for sitting (haha!) but we use it more as an accent piece any way! Highly recommend, don't think twice. I love this! It's soft, the color is true to the picture, and it's comfortable! Highly recommend! Absolutely love this piece. It's right at the end of our bed. Love the color. Sits a little lower than the height of the bed but a definite staple piece in our master. This is a absolutely beautiful sitting bench. I searched hi and lo for a bench of this quality and style. it! Really well made nice bench. Great shade of grey and fabric seems of good quality. We used this in a client's entry and it is a really nice first thing to see when entering. Great size too.